We’d love your help. 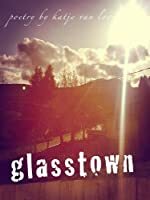 Let us know what’s wrong with this preview of glasstown by Katje van Loon. 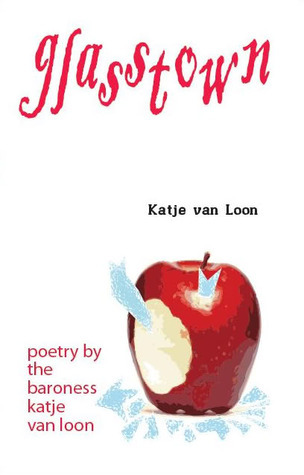 A book of poems of love and loss and anger from writer of speculative fiction Katje van Loon. To ask other readers questions about glasstown, please sign up. Katje van Loon, genderqueer author, poet, and menace to society, resides in the suburban outskirts of the Greater Vancouver Regional District with zir husband and their massive library of books, DVDs, and video games. Seriously, not a single shelf in the house has a square centimetre of space left. (No regrets.) Katje often dresses up like Kara “Starbuck” Thrace and avoids arrest for disorderly co Katje van Loon, genderqueer author, poet, and menace to society, resides in the suburban outskirts of the Greater Vancouver Regional District with zir husband and their massive library of books, DVDs, and video games. Seriously, not a single shelf in the house has a square centimetre of space left. (No regrets.) Katje often dresses up like Kara “Starbuck” Thrace and avoids arrest for disorderly conduct. While not writing about embattled, valiant Atherian women or fallen, newly-mortal goddesses stuck on faithless planets, Katje can be found baking, knitting, crafting, subverting the heteronormative, gender-binarist paradigm, and killing Cylons. Zir pronouns are zie/zir, used like she/her and sounding pretty similar.